We are now seeking Crowdfunding and donors to support the next phase of our project. 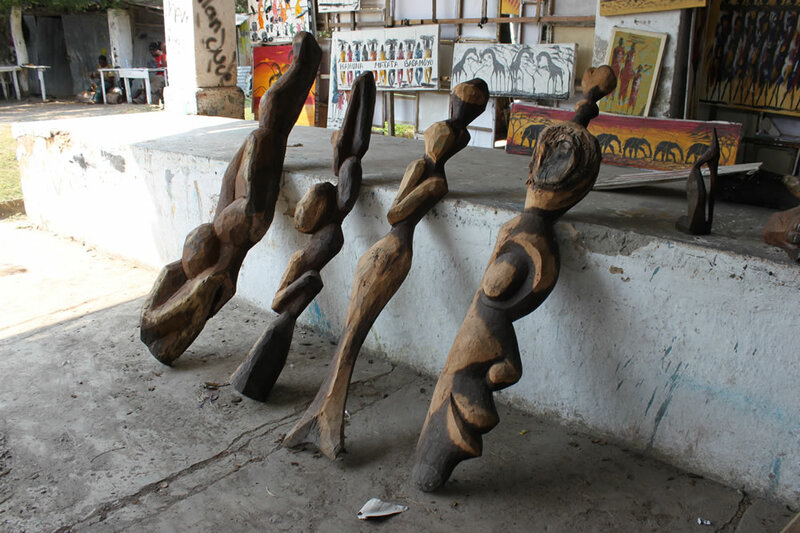 Funding raised will go towards providing our carvers in Dar es Salaam with more effective tools, organising a launch event in Autumn 2015 in London, purchasing more art and carvings to put for sale and marketing the project. 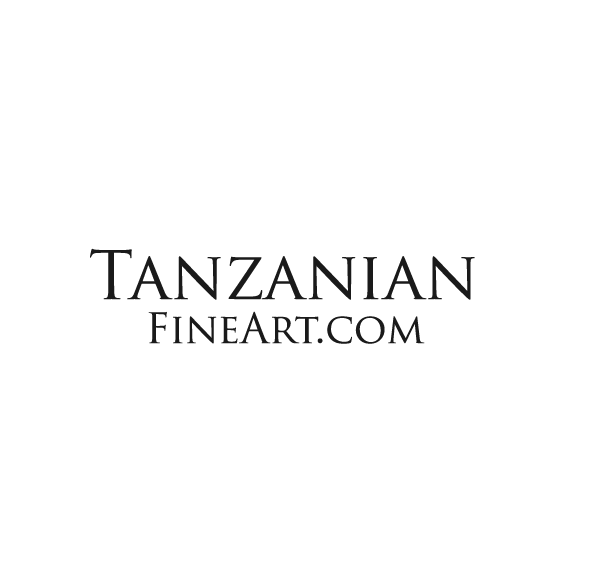 You can have the opportunity to be involved with a community of artists in one of the most beautiful spots in Africa, close to a national park, on the edge of the Indian Ocean, near to the spice island of Zanzibar, to become a part of Tanzanian Fine Art? 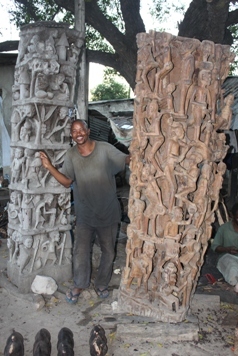 We are working to establish a sustainable community of sculptors and carvers, in a facility that enhances and develops their creative gifts, drawing on African, Arabic and European artistic traditions; providing a centre for dialogue and the sharing of experience between artists; highlighting and promoting the contribution that the arts can make to Tanzania. 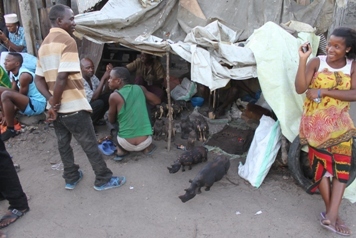 In Tanzania, carving runs in families, down the generations. Many carvers will tell of learning their skills from their grandfather, while they were at primary school. 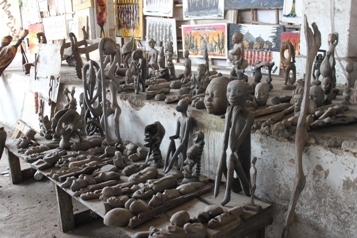 However gifted, their carvings are largely sold to the tourist market. 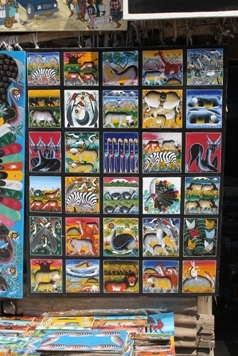 Sometimes carvings are bought by Kenyans and Zambians finished and re-sold as art from Kenya and Zambia. There is virtually no way for them to develop as artists, to reach the international market or to work with international designers. Fuad Janmohamed, has had the vision for the project, is a Tanzanian artist with knowledge of the African arts sector and experience of community work. He has recently been asked to participate in an NHS health project ‘Tanzanian Link’ building capacity among those caring for people with mental illness in the country. Alan Clements, an entrepreneur with extensive business experience in Asia and Africa, has an international marketing background and has developed a number of businesses and has considerable experience of internet marketing. Previously Chairman of an International Charity he has practical experience of community development and social enterprise in India. Fredrick R Hyde-Chambers OBE’s working life has been spent with social enterprise. He has extensive experience working with projects in countries in transition, both as Chairman of the Tibet Relief Fund and as Executive Chairman of Enterprise and Parliamentary Dialogue International primarily in countries of the former Soviet Union. 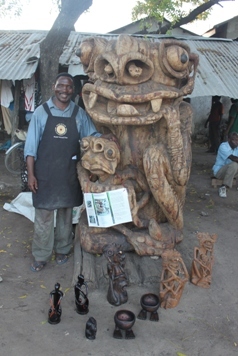 Hugh Wedderburn, is a British Master Carver, born in Nigeria who has become Hon Advisor to Tanzanian Fine Art, and is willing to participate in experience sharing seminars in Tanzania. Marion Freidman of Marion Friedman’s Gallery, represents the work of established and emerging artists and designers in Mexico. She has extensive experience of the crossover between art and design which she is willing to make available to Tanzanian carvers and artists. Ed Cross of Ed Cross fine art, specialises in contemporary visual art from the African continent, working with emerging talent as well as with more established artists, with the aim to promote art and the role of artists to different audiences. 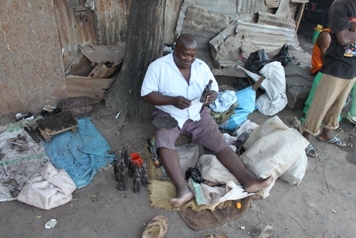 Ed has lived and worked in the arts sector in Africa and is now based in London. – to provide the carvers with proper tools and grinding stones. Many are working with tools they have fashioned themselves. -to purchase a wider selection of carvings and paintings for a launch exhibition in the Autumn to introduce the artists to London designers and their supporters. -to promote the sale of the carvings and paintings through marketing; online and at exhibitions and collectors events throughout the UK. regular personal copies of our news emails. a personal thank you on our Facebook page. 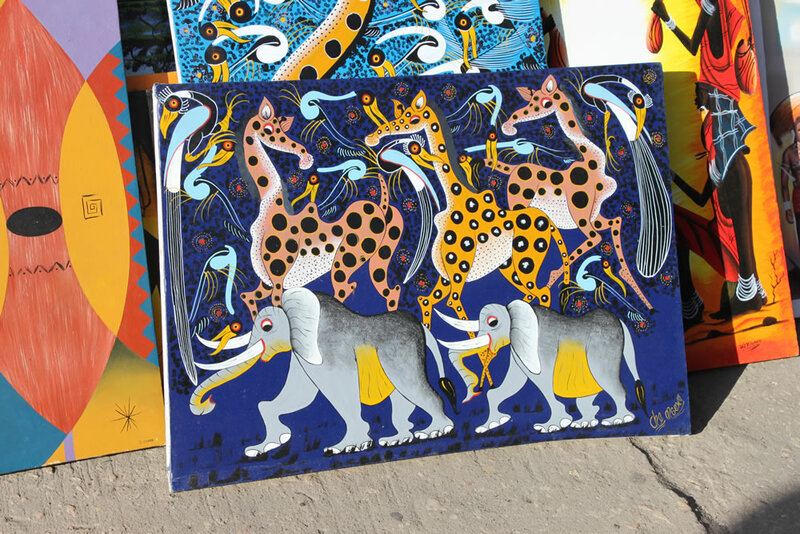 a 30 cm x 30 cm original Tingatinga painting from one of our artists in Tanzania. 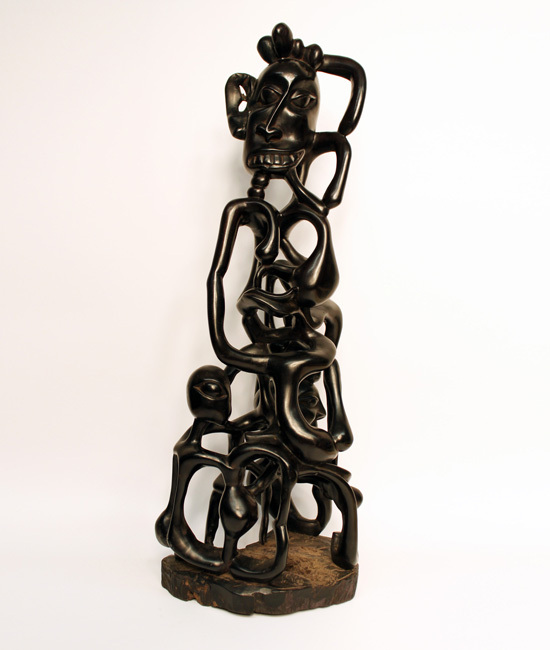 an original 45 cm tall ebony ‘Tree of Life’ carving from one of our carvers in Tanzania. regular personal copies of our news emails..
an original ebony carving from a selected list, created by one of our carvers in Tanzania. 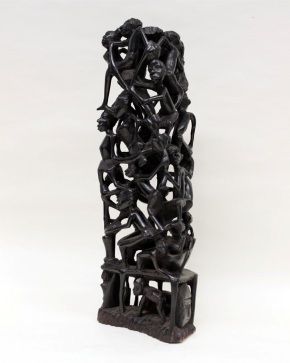 an original ebony carving from a selected list of carvings, created by one of our carvers in Tanzania. an original ebony carving from a selected list of carvings, created by one of our carvers in Tanzania and 30 cm painting. 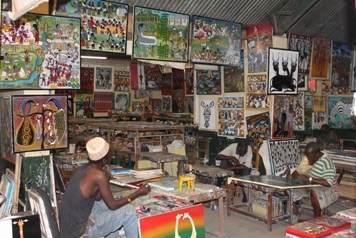 The next stage of the project will be the purchase of land at BAGAMOYO, a UNESCO world heritage site, and the building of accommodation for artists and guests and a studio.